Lowry, L. (1993). The giver.New York, NY: Houghton Mifflin. The Giver by Lois Lowry is a futuristic science fiction novel set in dystopian world in a community under the illusion of a utopian existence. This community not only does not allow but has genetically engineered as much as possible to provide an existence without such things as feeling, hunger, inequalities, pain, color, love, and memories of their distant and ancient past. The Giver is about Jonas, when he turns twelve, like all other children in their community who are given their permanent job assignments based off of observation and tedious calculations by the Elders that decide the future of each and every citizen in their community. If they do well they are rewarded, if they do not acclimate to the highly structured lives expected of each member of the community, then they are released outside of the community. Jonas is to become the next Receiver of Memory and he must learn all there is to know from the former the Giver, the former receiver of memories. Jonas, knowing that he has memories no other community member has and that those members have caused emotional and physical pain for the Giver, and though he begins expressing that some memories are unfair not to share with others, and he is still a carrying young boy and is willing to accept the pain that comes with the transfer of unpleasant memories in additional to the happy ones. He learned learns of war, starvation, sledding in the snow, colors, a sunburn and a broken bone, as well celebrating Christmas with a family. When Jonas learns that “released” from the community actually means death as he observes a recording of his father end the life of the weaker of the twin infants, he decides that the community must have all the memories he has been given over the past in his training well aware of the pain it will bring with those memories. 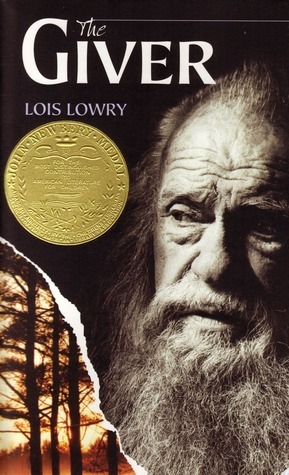 The Giver, often used in upper elementary school curriculum (ages 9-10) may be more suitable than other dystopian novels in which world devastation, human suffering, and death is commonly seen whereas in The Giver, Lowry introduces this utopian dystopia in a unique and unforgotten that allows for each reader to use their own interpretation to determine whether Jonas has made the best decision and even use their own imagination as to what may come next. Lowry’s novel offers ample educational material ranging from creative writing in Language Arts, genetic engineering or even optical illusions as Jonas was observing as he occasionally saw color prior to being chosen as the Receiver of Memories for science curriculum. Philosophy discussion may include the ideas of a utopia vs. dystopia and comparing similarities between the two, sociology curriculum discussions can focus on viewpoints and the effects of individual feeling that may cause conflict by comparing/contrasting diverse cultural and religious issues within a local community. And in a world where there is more instability than a generation earlier, dystopian novels provide tweens the opportunity to read material they can identify with since a dystopian future may not be as far away as we once believe with wars, terrorism, weapons of mass destruction, increasingly more devastating natural disasters and other environmental concerns. Those that enjoy The Giver may be interested in reading the remaining three books in the Giver Quartet (The Giver, Gathering Blue, Messenger, Son), Jeanne DuPrau’s Books of Ember (The City of Ember, The People of Sparks, The Prophet of Yonwood, The Diamond of Darkhold), Or Susan Collins’ The Hunger Games trilogy (The Hunger Games, Catching Fire, Mockingjay).